Are Colina Los Suenos Condos the right expat community for you? Colina Los Suenos Condominiums are a community situated in the center of Los Suenos Resort. The Los Suenos Resort is located in Herradura, Costa Rica. The Colina homes feature classic colonial architecture and are designed for gracious living. Colonia Condos are a private guard gated community of 90 condominiums. Colina Los Suenos offers two and three bedroom units with two bathrooms. The condos have 1,800 square feet of interior space and covered terraces made for entertaining. The interior of the condominiums at Colina is inviting with vaulted ceilings, crown molding and generous windows and doors with beautiful views of Los Suenos Resort and La Iguana golf course. Colina features hand-set tile countertops in the kitchen and bathrooms and Italian porcelain floor tiles throughout the units. The community of Colina Condominiums offers the following features; covered parking, lush landscaping and two spectacular swimming pools. This all adds to the enjoyment and beauty of Colina Los Suenos Condominiums. Colina Condominiums is perfectly situated for easy access to the Los Suenos Resort amenities. You find the beach club, Marriott Hotel, casino, spa, golf course, marina and marina village nearby. At the marina village, located next to the marina, you find several stores, bank, coffee shop and several restaurants that overlook the marina. The Los Suenos marina is home to several charter companies that offer fishing trips. You will find the beach of Herradura Bay in front of the beach club that has direct access. Here you can enjoy a swim in the ocean or have a nice walk on the beach. Near the entry of the Los Suenos Resort you find a mall with a large supermarket, food court and shops. At the Los Suenos Resort and outside area you can enjoy many activities such as; surfing, golfing, sport fishing, tennis, yoga, zip lining, horseback riding, hiking and there are many tour options. 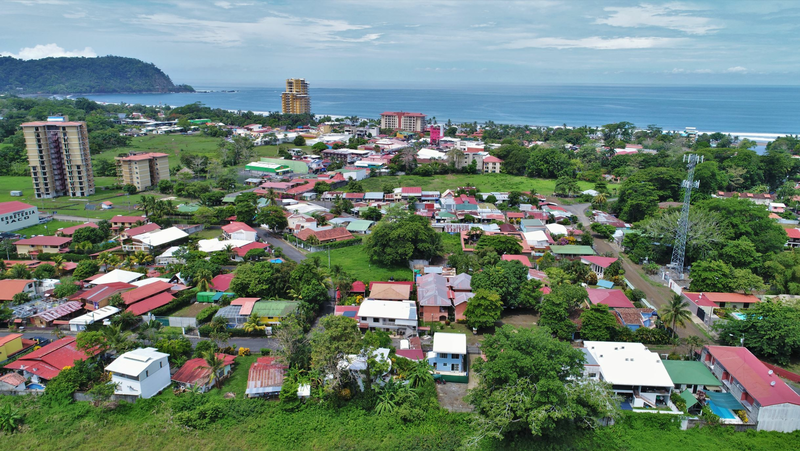 If you are looking for real estate in Los Suenos Costa Rica feel free to contact any of the agents in the REMAX Oceanside office.